With the official start of summer all I’ve been thinking about is the ocean breeze, soft shell crabs and other tasty treats from the sea. Hard to believe perhaps but I’m especially salivating over Sea Salt. Fleur de Sel or ‘Flower of Salt’ is fine, fluffy salt crystals hand-harvested from France’s Atlantic Coast. This moist French salt has a delicate flavor, distinct taste and refined quality, making it one of the best finishing salts. It is beloved by cooks all over. Use it to prepare dishes or sprinkle on just before serving. Himalayan Pink Salt is another gem in the kitchen. Known for its taste and rich trace minerals, this rock salt ranges in size from small crystals to large stones. Because of this, it offers a multitude of uses – mills and grinders to large stones for grating table side, to chunks that are best for brining. 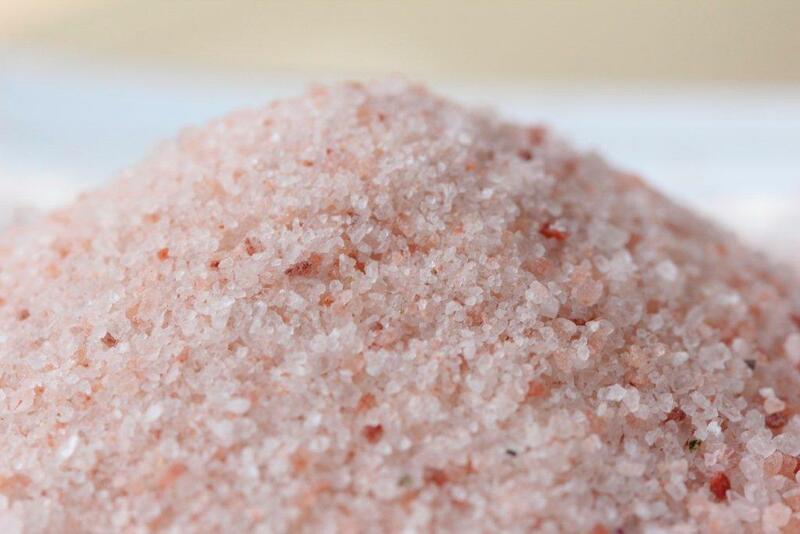 Himalayan pink salt range in color from white to deep pink – even red, and makes for a vibrant finish. It is said to be the purest of all sea salts. Smoked sea salts add an extra layer of flavor to foods. Smoked on a variety of woods including apple, hickory and oak, these salts offer more to savor. Lightly smoked salts are great on veggies, while the more robust work wonders atop grilled meats. Boost your backyard BBQ to a new level this grilling season with smoked sea salt. Whatever your creative culinary mind can conceive it probably exists as a salt blend. Among my favorites are Habanero Salt, Black Truffle Salt and Lime Salt, but there are literally dozens on the market. Sriracha Salt, Rosemary Salt and Merlot Salt are a few others. With so much to choose from it can be difficult to make that choice. Hawaiian-style Red Sea Salt and Mediterranean Black Sea Salt are eye-catching with their deep, bold color. Talk about making an entrance! Whatever you fancy you can just about find it. Not sure what you fancy? No worries. Ideas and inspiration abound at SaltWorks and Williams-Sonoma. To be balanced, research is crystal clear that too much sodium is not good for you. But cooking without any salt whatsoever is just plain blah. You can take that with a grain of salt or you can find your perfect pinch.